I have been sewing on BERNINA machines since 1993 when I bought my first, a model 1090. 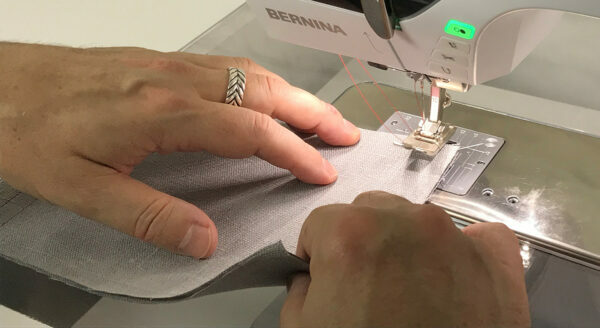 It was a mid-level machine with a limited number of stitches; however, it did have one key BERNINA feature: The Free Hand System (FHS), often referred to then as the “knee lift”. As most new BERNINA owners do, I quickly realized how precise, robust and fast my new machine was. There was no project it couldn’t tackle (me? I still had a lot to learn). And while using all the features of the machine, there was one that wrapped itself around all the others, helping me with every single seam I took: The Free Hand System. To a non-BERNINA machine owner, if you mention the Free Hand System they may ask “What’s the big deal?”. Yet, ask any sewist who uses it, and they will tell you (rather emphatically) that they would never sew without it! So, what is the big deal? It’s very simple. You could summarize it as: FHS = A Third Hand. The FHS consists of a socket at the front of the machine into which the knee lever is inserted. The middle portion is a cable attached to the socket at one end. This cable joins it to a mechanism attached to the presser foot bar. Raising the foot opens up (releases) the tension on your needle thread just like if you lifted the foot yourself by hand on machines that have the presser foot lifter at the back. It also drops the feed dog. This clears the way for you to slide in your project, or take it out, or pivot at a corner. As a result, combining these 3 functions means that you can keep both hands on your project at all times. So nothing shifts, scoots or gets out of alignment when you are ready to sew your seam. BERNINA FHS: It was first…and still is the best! Dropping the feed dog means that when you slide in or pivot a project under the foot, there are no feed dog teeth scraping your seam allowances. If you’ve ever pieced complex blocks (e.g. feathers, stars) and had your seam allowances ‘flip’ on you, this feature is the remedy!TIP: by using a straight stitch plate and the FHS you have a very flush and smooth surface that won’t interfere with your seam allowances, especially when you pivot. BONUS Feature: Extra Lift! Even when the presser foot is ‘parked’ in its UP position, the FHS lets you lift it up further by an extra 2 mm. This is wonderful when handling thick projects like fleece blankets, home decor items, etc. The answer: All. The. Time. 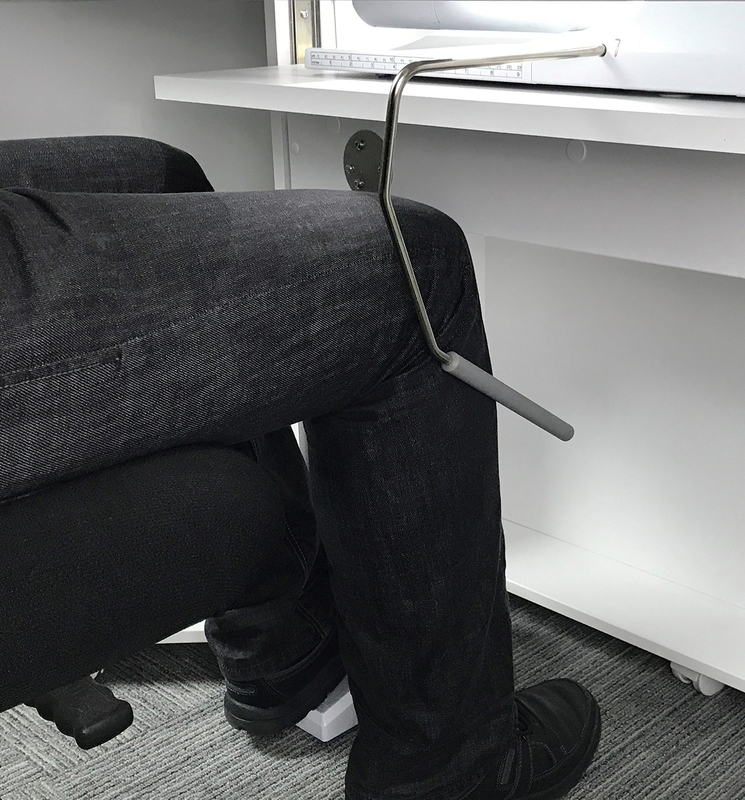 Push on the knee lever to easily position your project under the foot. Lower the foot if it was parked in the up position. Lift the foot if it was already down. Nudge the knee lever for a quick peek at the seam’s progress, for example, when piecing a quilt to make sure abutted cross-seams are staying put. Note: never nudge the knee lever while the machine is stitching. Since the FHS releases needle thread tension when used, this would lead to stitching with no tension on your thread… which is never a good idea ;-). So always stop stitching before you use the FHS. It makes the process fast and easy! Push against the knee lever to raise the foot, release needle thread tension, drop the feed dog and pull out your project without any resistance on the way to the thread cutter. This helps prevent puckers while pulling out the project. The instantaneous response of the FHS lets me have any height of hover, as many times as I need to make sure I’m good to go. 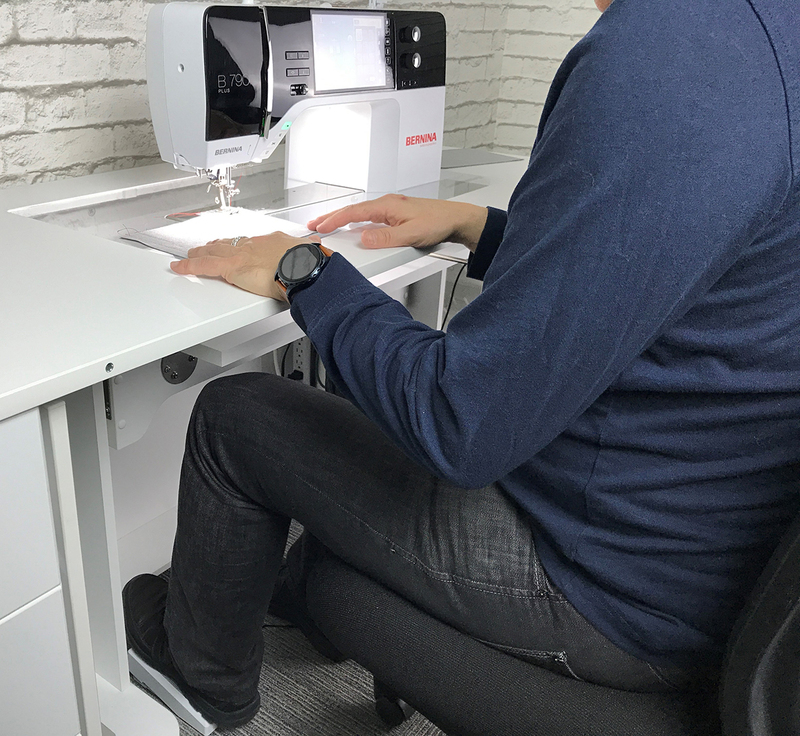 Note: For sewists who prefer to have small tasks automated by their machine, which makes their life simpler, there is an automatic hover feature now available on many newer BERNINA models. When the Needle Down function is active, these machines will automatically raise the foot a few millimeters (mm) when you stop sewing. You can even set the height at which the foot will hover—from no hover to 2 mm to a high hover. Most of my colleagues LOVE the automatic hover feature as it means not having to hover manually. If your BERNINA has the automatic hover feature, be sure to try it! Choices are a good thing! If you prefer the direct control of the FHS (as I do…remember the stick shift driver? ), you always have that option also! And now… A bit of ergonomics. BERNINA commonly mentions the word comfort when describing the operation of our machines. Whether it’s lighting, easy to attach and remove presser feet (never needing a screw driver) or other features, the FHS is definitely the key aspect of sewing comfort in my studio. Place the foot control under your left foot. The FHS lever is pushed with the right leg. This setup separates the two tasks of activating the FHS lever and controlling the speed of the machine. It eliminates the risk of accidentally bearing down on the foot control and making the machine run while pressing against the FHS bar, which would release the needle thread tension. That would result in a bird’s nest in the bobbin area. It prevents lateral strain on your right knee which could be present if you try to control both functions with just your right leg. If you have never sewn with the foot control under your left foot, try a couple of sewing sessions without the FHS lever installed and just sew with your left foot. It’s easier than it seems at first. Then, reattach the knee lever and take full advantage of your FHS. TIP: Some of my students have mentioned over the years that they found the knee lever too far or too close to their leg and wouldn’t use it because of that. 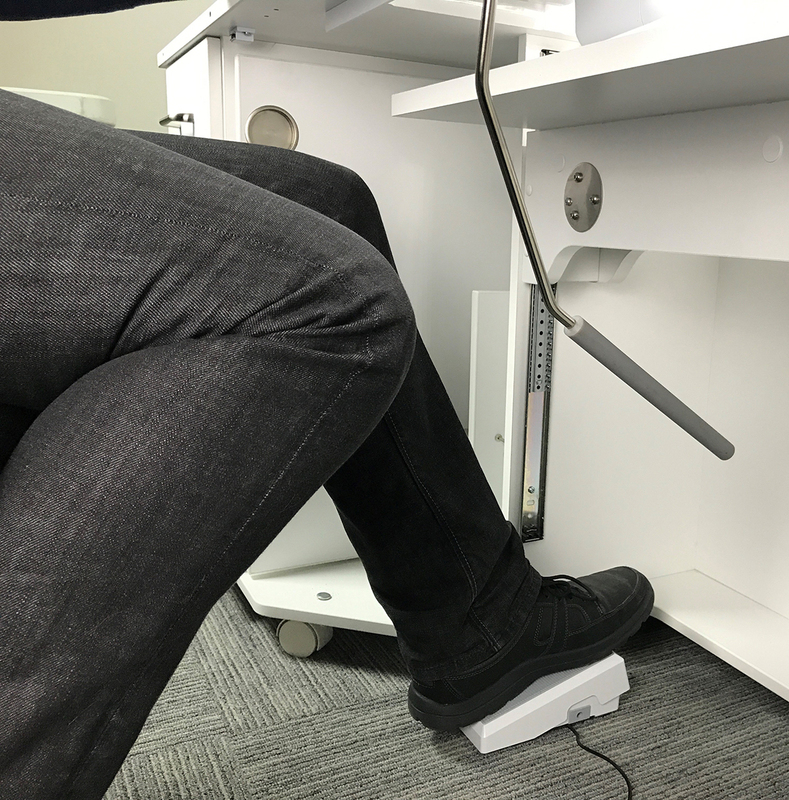 Did you know that your machine technician can adjust the angle of the knee bar socket so the bar will be at the right distance from your leg? 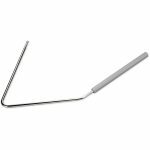 This way you won’t be nudging the bar inadvertently while sewing, which would cause stitches to not feed forward, and also result in loose tension. It also will let you have the knee lifter right next to you so that you don’t have to overreach to use it. Check with your BERNINA technician if you think your knee lever needs an adjustment. The end goal is your comfort! In the beginning, when I was shopping for a good sewing machine way back in 1993, I requested the brochures from each of the major sewing machine companies – back then, they came by snail mail! When the BERNINA brochures arrived, a customer service rep had hand written on a brochure that the FHS is what made a BERNINA worth it. Truer words were never written! 25 years later, I can’t sew without my Free Hand System. And I feel short of a hand when I have to sew without it! Previous Previous post: How to make Gingham Placemats + Giveaway! I learned to sew on an old Singer hand free sewing machine and loved it! I didn’t even realize that bernina had one! Would it fit my Chicago 7? The BERNINA Free-hand system is only available for select BERNINA models. 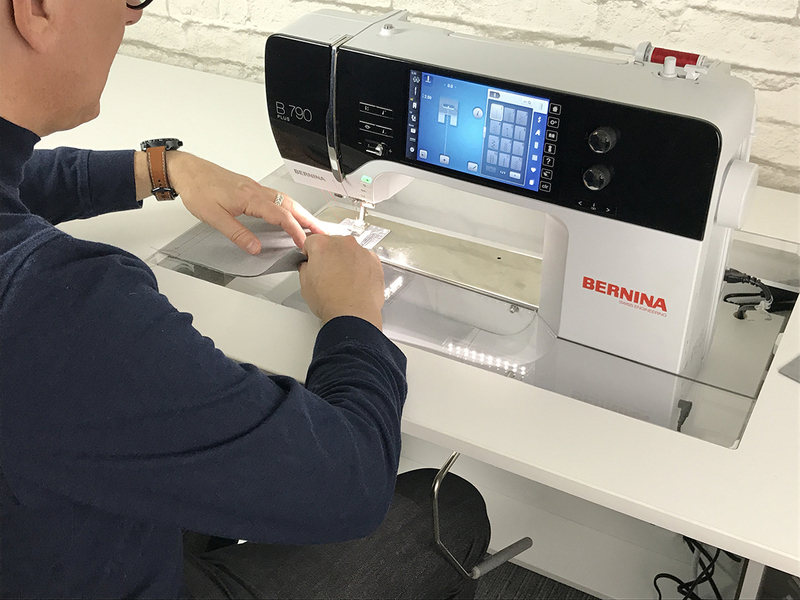 While the old Singer sewing machines included a knee control that would take the place of the foot control to make the machine sew, our BERNINA lever lifts the presser foot while lowering the feed dogs at the same time; offering complete hands-free sewing. Back in 1980 when I was looking for a new sewing machine I was looking at several top brands. I too obtained brochures and perused them. My final decision was to purchase a Bernina 830 Record because it had the knee lift. I have never been at all unhappy with that purchase. That machine still sews beautifully. I purchased a new Bernina a few years ago and let my sister use the 830. I can say that the 830 sews just as well as the newer machine. The newer machine just has a few more bells and whistles. I, too, learned on a treadle machine and then my mother had a White domestic that I used for many years. It had the knee lever and that made the machine sew. It took a bit to learn how to use it for the knee lift, but it sure is nice to have that feature on my Bernina. Would not want a machine without it. Can you tell me what sewig table is in this picture? Thanks so much. My friend and I have been having a friendly disagreement about the FHS. She swears by it, I frankly just didn’t get it. Your post has taught me so much. I never realized exactly what the FHS did other than raising/lowering the presser foot. And the tip on having the technician change the socket angle is priceless, Who knew? Thank you for proving me wrong!